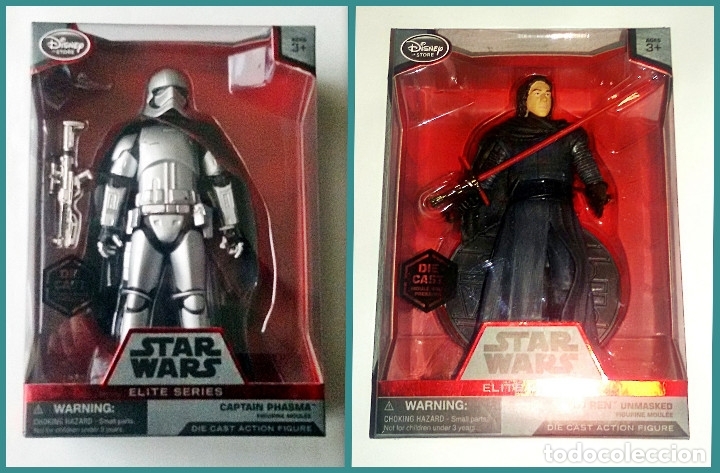 LOTE STAR WARS # CAPTAIN PHASMA Y KYLO REN # ELITE SERIES, DIE CAST, THE FORCE AWAKENS-18 CM APROX. GASTOS DE ENVIO CERTIFICADO: 6,00 € PENÍNSULA ( BALEARES Y CANARIAS 8,00 € ). MIDEN UNOS 18 CM APROXIMADAMENTE, DE DISNEY. STAR WARS # KYLO REN # THE FORCE AWAKENS - NUEVO EN SU BLISTER ORIGINAL DE HASBRO. Hora oficial TC: 16:28:05 TR: 136 ms.